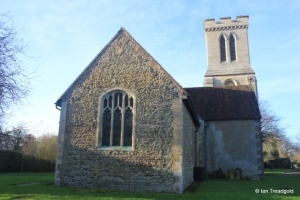 The church of St Peter in Milton Bryan is situated in Church End which is the northern part of the village. Parking is by the roadside outside the church. 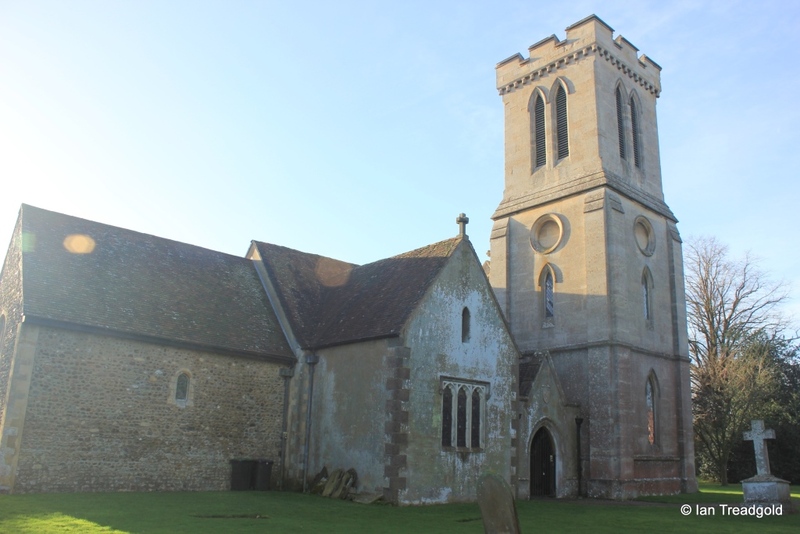 The original church on this site of which the nave and chancel survive was heavily modified in C19 to form an unusually shaped building with transepts and a tower in the north-west corner. The older parts of the building remain as cobblestone and rubble whilst the modifications from C19 are all plastered. The alterations to the church were instigated as a result of the Milton Bryan estate being acquired by the Inglis family in 1784. 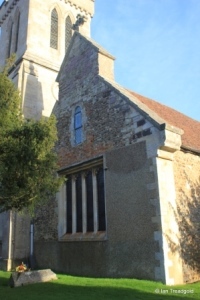 The alterations, spread over the period 1820-1850, covered a north transept (1826) to house the Inglis chapel and family monuments , porch and tower (1841) and south tower (1851). 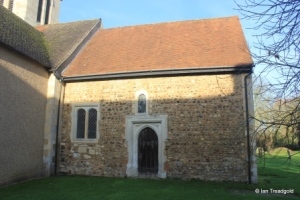 The chancel is around 25 feet by 16 with the nave adding 42 feet by 21. The north transept is around 12 feet by 14 and the south is around 17 feet by 15. 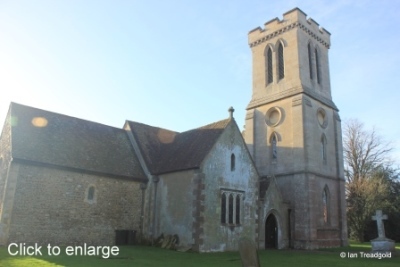 The tower is around 15 feet square with a porch between the tower and the north transept. 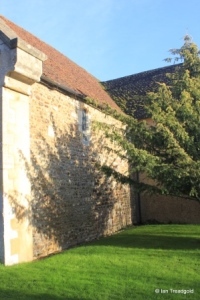 The north side of the nave is entirely occupied by the north-west tower, the porch and the north transept with no windows to the north from the nave. 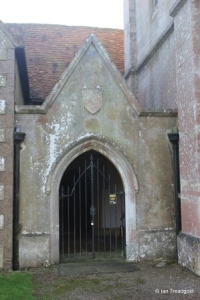 The north porch is like all the C19 modifications plastered with a now weathered shield on the gable which presumably once displayed the Inglis crest. 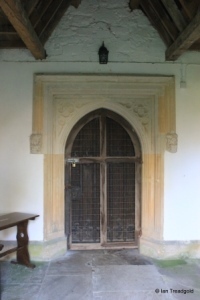 The doorway inside is of C15 but moved to its present location when the porch was built. The north transept houses the Inglis chapel and is lit only from the north. 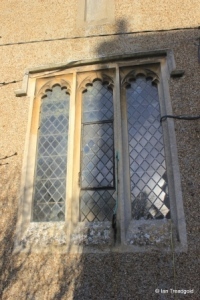 It has a three cinquefoiled light window under a square head with a further high single lancet window above. 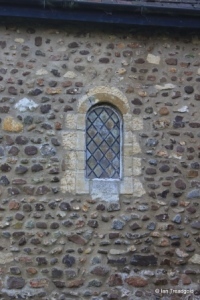 The north side of the Norman chancel has a single small round arched window. 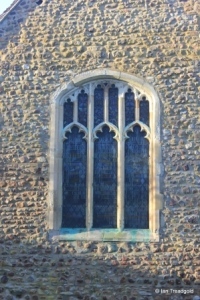 The restored east window was inserted in C15 and has three cinquefoiled lights with perpendicular tracery above under a four-centred head. 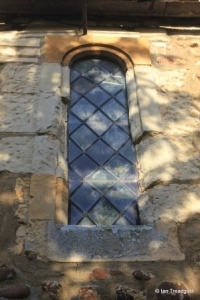 The south side of the chancel has a single round head window like the north side but over a C15 doorway. To the west of this is a plain two light window under a square head. The south transept, like the north is lit only on the outer side with a similar three light window under a square head. Above is a shallow statue niche. 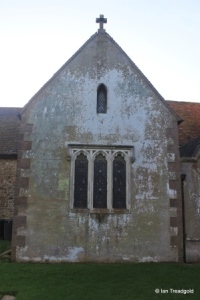 The south side of the Norman nave has two small round-headed windows of a similar style to those in the chancel although they differ in width. 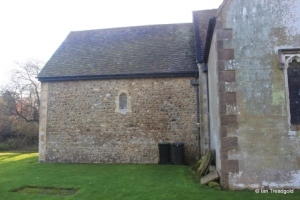 The west end of the church retains the style of the gable of the original building which had a wooden bellcote. 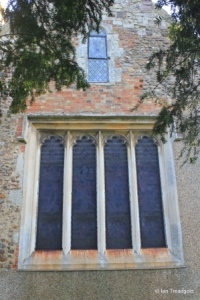 The west window is of four cinquefoiled lights under a square head with a small round headed window above. The west end shows much restoration with the original cobble and rubble retained in the gable along with C19 brickwork before the C19 alterations become clearer below in the plastered wall. 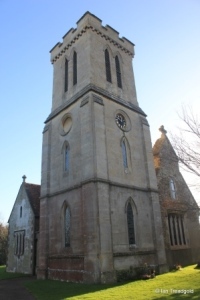 The C19 tower is of three stages with shallow angle buttresses and single pointed arch windows in the both of the lower stages of the two exposed faces to the west and north. The belfry lights are each pairs of pointed lancets. 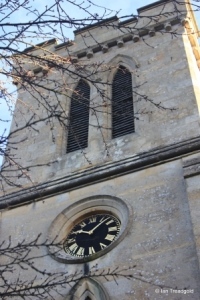 The west facing clock was added in 1854.